The NJAIHA has long recognized the importance of continuing the Industrial Hygiene legacy by welcoming young adults into our organization as they pursue their education and begin their careers. Each year scholarships are awarded to students who have demonstrated scholastic excellence in the study and promotion of environmental health and safety/industrial hygiene for the 2018/2019 academic year. NJAIHA is pleased to announce that three deserving students were awarded scholarships at our June 7, 2018 dinner meeting. Michelle Muska was awarded the Raymond Manganelli Scholarship and is currently pursuing her master’s degree at New York University. Juliana Ruggieri was awarded the Brian Sylvester Scholarship and is currently pursuing her master’s degree at the University of Wisconsin. Hongyi Yu was awarded the President’s Scholarship and is currently pursuing his undergraduate degree at Rutgers University. Ethan Wagner was awarded the President’s Scholarship and is currently pursuing his undergraduate degree at the University of Hartford. We would also like to thank the strong and talented professors and mentors who work tirelessly to support and continue the environmental health safety & industrial hygiene profession. The Raymond Manganelli Scholarship was created by the NJAIHA in 1994. Dr. Manganelli, a professor at Cook College, at that time had already had a distinguished career as a pioneer, an educator, and an innovator in the fields of air, water, and noise pollution studies. Dr. Manganelli had an equally strong devotion to field of industrial hygiene, and was a long-time active member and supporter of the NJAIHA, having served in several Director level positions over the years. Dr. Manganelli’s devotion to teaching and advising generations of undergraduates and graduates in their pursuit of careers in the environmental science and industrial hygiene fields earned him numerous teaching awards and led to the formation of several scholarships in his name, including this one. He served as a mentor and professional inspiration to scores of NJAIHA members over the course of his 57 year at Rutgers University. 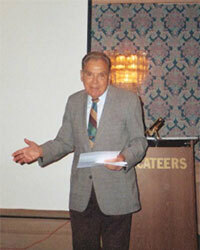 Dr. Manganelli passed away in September 2005 at the age of 84. The first Raymond Manganelli Scholarship, in the amount of $1,000, was presented by Dr. Manganelli himself to James Blando on June 16, 1994 at the NJAIHA Annual Awards Dinner. 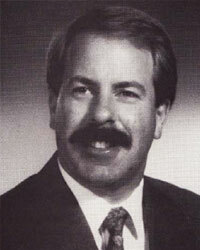 The Brian M. Sylvester Memorial Scholarship was created by NJAIHA in 1990 in honor and lasting memory of NJAIHA member and colleague Brian M. Sylvester, CIH, who died from complications of pancreatic cancer on April 29, 1990 at the age of 36. Brian was extremely committed to the NJAIHA and its activities and had been serving as Chairperson of the Legislative Committee at the time of his death. Brian was employed as Corporate Industrial Hygienist at Atochem North America, and had been a practicing industrial hygienist for 13 years since his graduation from Rutgers University in 1977. The first Brian M. Sylvester Memorial Scholarship, in the amount of $1,000, was presented to William Romeo, a senior environmental science major at Cook College-Rutgers University, on June 7, 1990 at the NJAIHA Annual Awards Dinner.